The purpose of this presentation is to report on an extension of modal analysis to reduce any linear dynamical system to independent single-degree-of-freedom subsystems in real space. To be specific, let M, C and K be arbitrary real square matrices of the same order with M assumed nonsingular. A real and invertible transformation is developed to convert Mq ̈+Cq ̇+Kq=f(t) into p ̈+Dp ̇+Ωp=g(t) for which D, Ω are real and diagonal. As an important byproduct, a solution is thereby provided to the classical decoupling problem of damped linear systems. Design and analysis are often streamlined by system decoupling and several such applications will be mentioned. Dr. Fai Ma is Professor of Applied Mechanics in the Department of Mechanical Engineering, University of California at Berkeley. He received his B.S. degree from the University of Hong Kong in 1977 and his Ph.D. degree from the California Institute of Technology in 1981. From 1981 to 1986, he was a research engineer with Weidlinger Associates, the IBM Thomas J. Watson Research Center, and the Standard Oil Company. He is the recipient of several awards, which include a Presidential Young Investigator Award from the National Science Foundation, an Alexander von Humboldt Fellowship, and a Fulbright Senior Scholar Award. He is the author or co-author of more than 180 technical publications in the areas of vibration, system uncertainties, and stochastic simulation. He often serves as a consultant to industry and is a fellow of the American Society of Mechanical Engineers. A Data-Centered World. On Blockchain, IoT and Big Data. Through the last decade with the deployment of the Internet of Things (IoT) and Blockchain technology, Big Data has become the fabric and currency that bonds the world together. While IoT has given rise to endless opportunities for sharing of data, Blockchain is the most well-known technology that enables securing the authenticity of data and transactions involving the exchange of data. This has given rise to the development of a number of new peer-to-peer systems, not limited to digital currency. In this presentation we review some historical trends and challenges related to this evolution of data and its related technologies and discuss areas of most likely focus over the next decade. In particular, ongoing efforts and future directions for research led by IEEE and the IEEE Reliability Society will be discussed. Dr. Christian K. Hansen served as President of the IEEE Reliability Society (2014-2016) and is currently Department Chair and Professor of Statistics in the Department of Mathematics, Eastern Washington University (EWU). He has been a faculty member at EWU since 1993 and served in a variety of academic and administrative leadership positions. He has been active in the statistics and reliability engineering profession for 30 years and published broadly on a variety of applications involving data derived from engineering systems. Over the past two decades, he has been active with the IEEE Reliability Society and has served in leadership positions that include vice-president of publications and treasurer before being elected to president in 2013. Dr. Hansen is a graduate of the Technical University of Denmark with degrees in Electrical Engineering (MS, 1988) and Statistics (PhD, 1991). Unmanned Systems (USs) including Unmanned Aerial Vehicles/Systems (UAVs or UASs), Unmanned Ground Vehicles (UGVs) and Autonomous/Driverless Vehicles, as well as Unmanned Surface/Underwater Vehicles (USVs/UUVs) are gaining more and more attention during the last a few years due to their important contributions and cost-effective applications in several tasks such as surveillance, sensing, search and rescue, agriculture, forest and environment, pipelines and powerlines, military and security applications. On the other hand, Diagnostics and Health Management (DHM) of USs have also been attracted more and more attention due to the requests of safety and reliability of using these USs for the above-mentioned various applications. In this talk, issues and recent developments on Sense and Avoid (S&A), Fault Detection and Diagnosis (FDD), Fault-Tolerant Control (FTC), and newly developed Fault-Tolerant Cooperative Control (FTCC) techniques applied to USs will be presented. 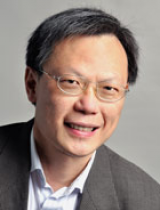 Dr. Youmin Zhang received the B.S., M.S., and Ph.D. degrees from Northwestern Polytechnical University, Xi'an, China, in 1983, 1986, and 1995, respectively. He is currently a Professor with the Department of Mechanical, Industrial and Aerospace Engineering and the Concordia Institute of Aerospace Design and Innovation, Concordia University, Montreal, Quebec, Canada. His current research interests include condition monitoring, health management, Fault Detection and Diagnosis (FDD), and Fault-Tolerant Control Systems (FTCS), cooperative Guidance, Navigation, and Control (GNC) of single and multiple unmanned aerial/space/ground/surface vehicles and their applications to forest fires, pipelines, power lines, environment, natural resources and natural disasters monitoring, detection, and protection by combining with remote sensing techniques; dynamic systems modeling, estimation, identification, advanced control techniques and signal processing techniques for diagnosis, prognosis, and health management of safety-critical systems, renewable energy systems and smart grids, and intelligent manufacturing processes. He has authored 4 books, over 460 highly cited journal and conference papers, and book chapters. 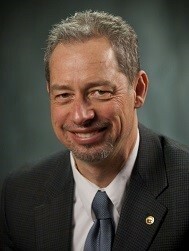 He is a Fellow of Canadian Society of Mechanical Engineering (CSME), a Senior Member of the American Institute of Aeronautics and Astronautics (AIAA) and the Institute of Electrical and Electronics Engineers (IEEE), and a member of the Technical Committee for several international and national scientific societies. He has been invited to deliver plenary and tutorial talks at international conferences/workshops and research seminars worldwide for over 100 times. He is an Editor-in-Chief, an Editor-at-Large, an Editorial Board Member, and Associate Editor of several international journals. He has served as General Chair, Program Chair, Program Vice Chair, and IPC Member of several international conferences. More detailed information can be found at http://users.encs.concordia.ca/~ymzhang/. Complex system Prognostics & Health Management (PHM) has undergone a very fast development since the beginning of the new century and has been applied in various industrial systems, such as commercial airplanes, railways, spacecrafts. PHM technology can reduce the various types of accidental risks of complex systems, and is a key technology to improve the reliability, maintainability, testability and safety of complex systems. The requirements, key technologies and work processes of complex system health management will be discussed, and the application examples of PHM engineering in spacecraft and wind-tunnel test equipment will be mentioned. Combined with the experience of PHM engineering application, this talk summarizes some problems in the development process of PHM and analyzes the development trend and challenges of PHM technology. On this basis, this talk will give the new opportunities of PHM development, propose the development ideas of PHM cloud platform combined with big data and artificial intelligence, as well as their applications. It is hoped that this talk will provide some insight on promoting the sustainable development of PHM technology in fields of complex systems. Fei Chen serves as the Deputy General Manager and Senior Engineer of Beijing Aerospace Measurement & Control Technology Co., Ltd., Beijing, China. He graduated from the Department of Precision Instruments, Tsinghua University. During his career in general equipment testing and measurement, fault diagnosis and health management, he has undertaken the research and development of testing and maintenance support equipment and health management system for several major national projects. He was the receipt of the National Defense Science & Technology Progress Award and Invention Award for many times, and he holds more than ten patents.